Get a dedicated or hot desk with premium amenities, from client-ready conference rooms to on-site support. Access to an open spot in the common area. Bring your laptop, pick a desk, and get to work. You'll choose a new spot every time you come in. Where would you like space? Whether you take a dedicated desk in an enclosed area or a hot desk in a lively common space, you'll have access to all of our premium amenities. 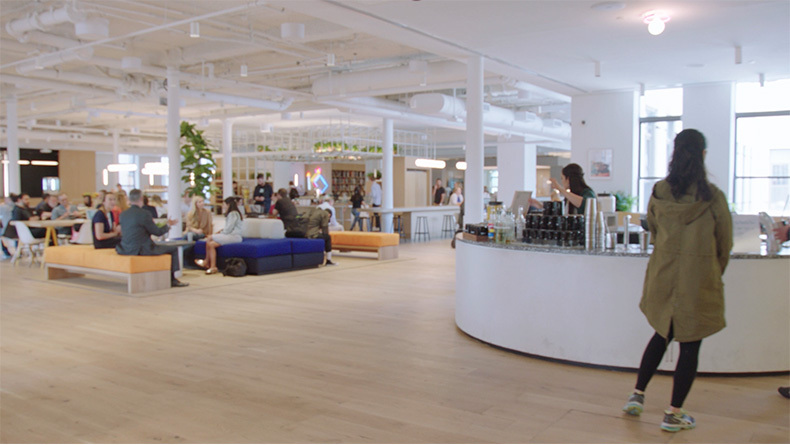 Take a look at what it's like to be in a WeWork space. Find dedicated and hot desks at your chosen location. It's nice to always have a polished office where we can bring Fortune 500 companies and clients. We haven't had any employee turnover since joining and WeWork's collaborative work culture helps our recruiting efforts. We looked into traditional offices, but WeWork is a much better fit, as it provides a solution that grows with us as we scale. Looking for more privacy or flexibility? Check out some other workspace solutions that may better suit your needs. Pay as you go for daily workspace or hourly conference rooms. From move-in ready offices to large custom build outs, find the perfect private space for teams of any size.